Do we only root for our heroes because we know them better than we do the villains? 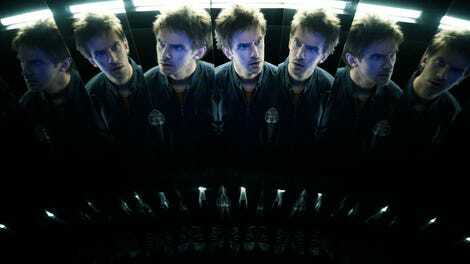 Part of what’s made season two of Legion such an emotionally odd story is how it has bifurcated our allegiances since almost the very beginning. 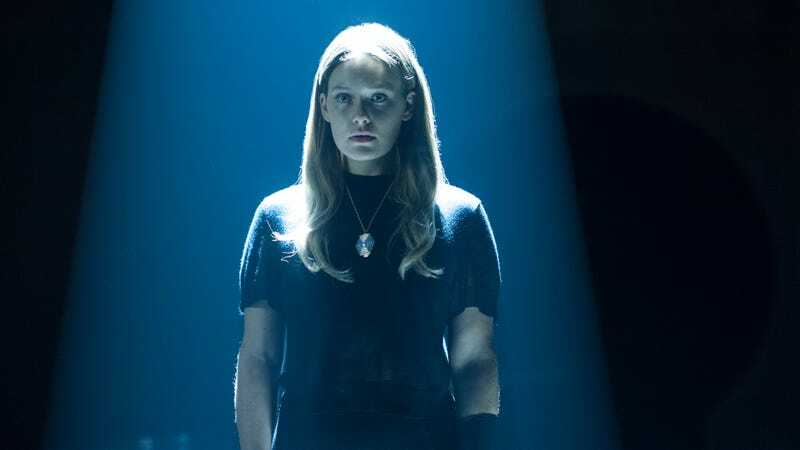 We know Amahl Farouk is the bad guy, he’s hurt and killed people, but rather than detail a narrative in which our team hunts and takes out the Shadow King, we’ve had Future-Syd telling us the opposite is true: Farouk needs to be helped so that he can survive and save the world in the coming years. Similarly, David is our protagonist; we like him and want to see him victorious. But it’s been revealed he’s the one that wipes out most of humanity in the future, an eventual villain—and the potential for David to become a monster is an idea that’s been floated by Clark, Melanie, and now David himself. Legion wants us to root for our characters, but also against them. It encourages empathy, then holds us at arms’ length while warning us getting attached might be a bad idea. It’s one hell of an impressive show, but it’s chosen an intentionally alienating story. If that off-putting ambiguity has been simmering below the surface for much of the season, it comes to a boil in “Chapter 18.” The organizing conceit of the episode is Farouk-Melanie’s presentation to Syd, the slow and steady hammering away at her insecurities and fears regarding her boyfriend, and it isn’t a fun one to sit through. It’s not just that we’re predisposed to dislike this analysis of David, rendering him sinister and psychotic in the face of everything good we’ve seen about him. And it’s not just because we eventually realize this is Farouk speaking through Melanie, taking her bitter anguish and using it like a cudgel to pound away at Syd’s confidence and trust. It’s that the whole thing is cruel. It’s hard to watch Syd succumb to a kind of emotional violence, the manipulation of her feelings looking like nothing so much as a master class in gaslighting. Farouk-Melanie uses truth to create falsehoods. David does have the capacity for cruelty inside himself; he kissed Future-Syd; there have been numerous moments in his life where he lashed out. It’s the harnessing of all these little moments into a larger narrative that steamrolls over Syd in her already vulnerable state. It’s an effective tactic, but an ugly one; a monstrous presentation about a monster. And the sense of having the super-powered rug pulled out from under us continues with the seeming negation of all that elliptical planning on David’s part. We finally learn Clark’s part of the strategy—bringing the Choke to neutralize all their powers—and with a wave of his hand, the Shadow King flicks the massive tuning fork thousands of yards away into the sky. We see David torturing Oliver to learn the whereabouts of Syd, which turns out to be all for naught, the Shadow King having abandoned the body well before David arrived. Cary and Kerry take the fight to the monastery, only to have the Minotaur flex its might. There’s a frustrating futility permeating the actions of our heroes in this installment, and it gives a weird weightless quality to some of the plot, sapping it of emotional force. In its place we get a strange ambivalence—does the behavior of anyone but David and Farouk really make all that much of a difference to the outcome? True, it’s the journey, not the destination, but we still need to feel as though everyone isn’t just tilting at windmills. Luckily, a lot of that other action was damn fun to watch, regardless of its effects. Kerry Loudermilk got a chance to unload on some anonymous goons (presumably they work for the Shadow King? ), who removed those safes from their heads and got off some sickness-inducing attacks via their bolo whips (that’s what those were, right?). The action was more amusing than thrilling, filmed in slow-motion and scored with Jane’s Addiction, but it nevertheless provided an all-too-rare opportunity for Kerry to apply her skill-set. Lenny has a new can-do attitude to match her massive assault rifle, and despite a few well-placed bullets to help out Kerry, she’s still playing the waiting game. Her role is the only one remaining that seems like it could actually help David tip the balance of power in defeating Farouk. Of course, that’s also thanks in part to that unsettling opening image, as the camera pans away from the lightning bolts to enter the shelter with a flickering fire, Lenny reclining in pleasure, and David looking more malevolent than ever with a crystal ball that might contain Syd. If that’s an ominous portent of what’s to come, this season is a second act that makes Empire Strikes Back look downright celebratory. Not everything worked. The Minotaur was already plenty creepy as is. Powering it up into a behemoth like it was a Dark Elf from Thor: The Dark World came off a little silly. Luckily, it then spent most of its time hiding in the shadows on the ceiling, leading to that weird but excellent encounter with the two Vermillion. And while Syd certainly can’t be faulted for wanting to hit something, perhaps throwing punches at a giant creature that’s been ripping people and androids in half isn’t the wisest time to jump into the fray. There’s only one episode left, and it’s the additional one ordered by FX to bring a total of 11 episodes in season two. Neither Hawley nor the network have given an explanation for why this was done yet, but it’ll be interesting to learn the creative reasoning behind it. There’s no question episode 10 probably looked very different before that change—a change made prior to season three being picked up, it’s worth noting. Legion has shed quite a few viewers this season, and it’s not hard to understand why. While others have pointed to the more confusing nature of the story as the cause (time travel! Guys with baskets on their heads for no particular reason! ), that doesn’t seem right. It’s not all that confusing, and the show has really worked to make sure all the plots, themes, and even headier intellectuals concepts are clear. No, it’s the difficult emotional throughline that’s been pulled and split, preventing any clear identification or traditional means of rooting for characters. As we come to next week’s finale, there’s no clear indication of what a “win” would look like. That’s a worrisome thought. David expresses fear about how much he’s savoring the idea of killing Farouk, but Syd’s final lines imply the damage is already done, as far as she’s concerned. “He’s the monster now. Maybe he always was.” Farouk-Melanie was far too effective an infiltrator of minds. You know Farouk is truly evil because he sets a trap for Syd by running a metal hook through a living rabbit. David already had real trouble dealing with Farouk before he got his body. Now that he has it, I’m guessing our troubled psychic might have a real fight for survival on his hands, let alone getting revenge on the Shadow King.